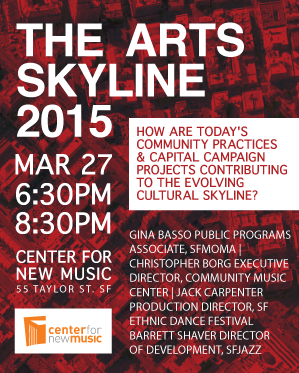 With major renovations and new building projects for both longstanding arts institutions and emerging ones underway, the Bay Area’s Arts Skyline is undergoing a significant shift – in philosophy and in practice. Creative placemaking and other trends have begun to inform a reimagined concept of the spaces and places in which we create, exchange, imagine, perform, and present; transient multipurpose projects from pop-ups to reclaimed spaces are transforming the way we think about the arts institution as place. 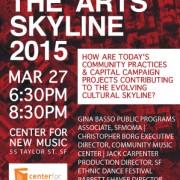 Join EAP for an enlivening discussion featuring panelists from leading organizations and institutions involved in community practices and capital campaign projects to learn about their contributions to the evolving cultural skyline.